I call every rice dish that is cooked in a broth with aromatics (garlic, onion, herbs and spices) a pilaf, but depending on the rest of the ingredients, they really can be quite different. Take this Cran-Apple Wild Rice Pilaf. 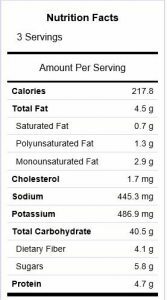 At 217 calories and 40.5g of carbs per serving, with a lovely subtle sweetness it’s a hearty back country side dish, snack, or even a delightful breakfast. By adding a serving of protein it could easily be transformed into a delicious and very satisfying dinner. NOTE: If you add a pound of cooked ground sausage, it is the recipe I use for thanksgiving stuffing. Just saying. Kitchen Cook Time and Prep: This recipe makes enough pilaf for 3-4 back country servings and takes about 1 hour to prepare. Tools: You will need a 2 qt casserole dish with lid and a fry pan to cook with. In the back country you will need a stove and a pot to boil water. A spoon or spork would be helpful. 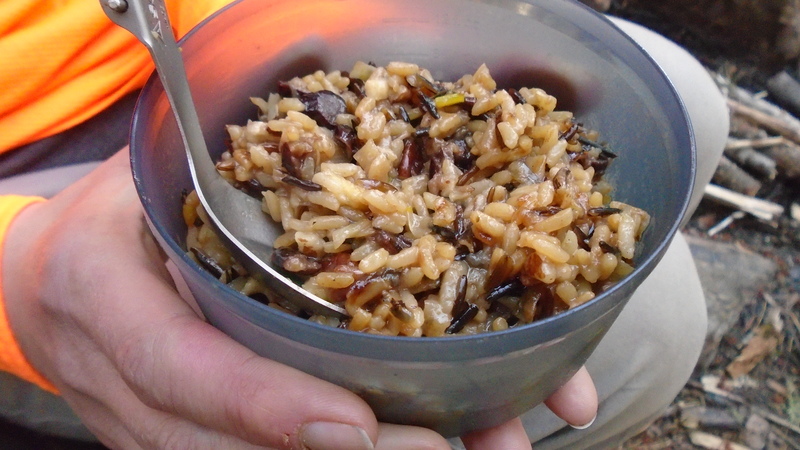 Back Country-What to Expect: Rice pilaf is a really simple dish that is very light and delicious. It packs a very satisfying caloric punch. In a 2 quart microwave safe casserole dish combine wild and long grain rice, Dijon, vinegar, sea salt, Herbs de Provence, apple juice and chicken broth. Cover and cook in microwave on high for 5 minutes. After 5 minutes gently stir, cover and continue to cook for 25 minutes at 50% power. NOTE: I have used several different microwaves and this method has worked every time. Once rice has finished cooking allow to rest for at least ten minutes. In a large cast iron frypan over medium heat melt coconut oil. Add onion and garlic and sauté for 3-5 minutes, until onions begin to soften. Add apple and continue to cook for a further 2-3 minutes stirring often. Once apples have become tender and soft remove from heat. For best results dehydrate rice separate from apple mixture. Allow to cool to room temperature. 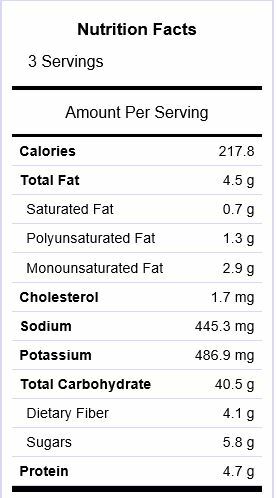 Place 150g of rice per serving and ⅓ of the apple mixture on the fruit roll-up trays on your Excalibur. On the middle setting (135 - 145 degrees), dehydrate for 4-6 hours, or overnight. Once fully dry, break up and seal into vacuum seal bags and store in freezer until ready to head into the back country. To rehydrate I add ⅔ cup of water a few hours before you intend to eat. Store in a strong resalable bag while you're hiking. I've been using resealable vacuum seal bags and they work perfectly. At meal time it only requires 3-5 minutes of simmer time before it's ready to eat.